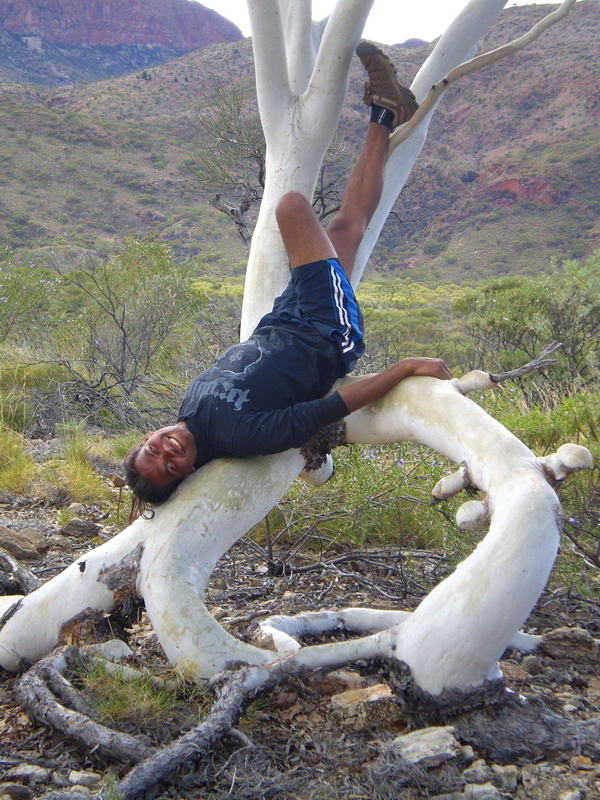 This is Nicholas 19 year old lawman of the Arunda people and Indigenous guide for the Desert Writers Into the Blue Creative Walk in the West Macdonnell Ranges of Central Australia a modern unsung hero befitting the NAIDOC 2010 theme of closing the gap through celebrating our unsung heroes. And this is the story of the amazing relationship between Nicholas’ family and the family of Pastor Carl Strehlow, the Senior Missionary of Hermannsburg, the first Aboriginal Mission in the Northern Territory, established by the Lutheran Church in 1877 on Western Arunda traditional lands. The story is narrated by Nicholas’ grandfather Herman Malbunka and the first part is about his grandfather Hesekiel Malbunka, a senior Western Arunda man, a lawman of his country and the friend and cultural mentor of Pastor Carl Strehlow. An unsung and sung hero as the story will demonstrate. When Pastor Carl became fatally ill Hesekiel was sent to Alice Springs to send a telegram for help. Hesekiel knew how critical his task was, he needed to act quickly. Once out of sight of the Mission and other people, he pulled out a lump of soft grass. He sung that grass to act as the sun and stay high in the sky, for him to complete his journey in the daylight hours. Hesekiel completed his song and then put the grass in a high fork of a tree and travelled overland by INKALAKA (foot walk) using the power of song to move through country in record time. He sang just three songs chanting rhythmically in his mind,his sacred songs learnt through the law. He walked an incredible 250ks in two and one half days. On his return he removed the grass in the tree and returned to the Mission compound. Ted Strehlow Carl’s son said this was faster than our horses would have been at that time. Ted Strehlow and Gustav Malbunka, Hesekiel’s son were born on the same day 6th June 1908. One day when only boys they were down at the Finke River playing. Ted dived in and hit his head on a rock temporarily knocking him out. Gustav dived in and pulled him up onto the bank saving his life. Carl had saved Hesekiel from a notorious policeman some 20 years earlier. Gustav had now saved Carl’s son, these families had strong bonds of friendship, they were friends for life. Now Herman’s grandson Nicholas, an initiated lawman works as a guide taking people into his family’s lands and the lands of others Western Arunda people. but in others he is different. who must sometimes seem slow. He laughs, sings, dances and jumps for joy a lot of the time. 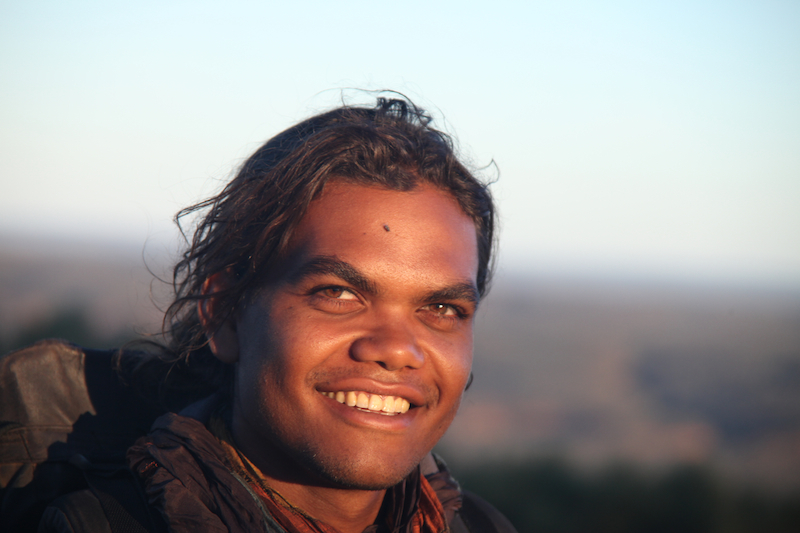 He took himself all the way to Adelaide to complete his secondary education so that he would not return to his people to get married and have children before he was 20 years old. ‘I will do that later’, he said, ‘maybe when I’m 24. In the meantime I want to work, earn money and learn new things’. they brought us the Word of God but did not interfere with us. We have a new church now but some of our people have forgotten. Our family will never forget. There is another side to this story. Although the missionaries here did much to save the people as they fled from massacre, drought and disease, in the single-mindedness of their Christian beliefs of that time, ancient sacred places were desecrated. Mudgooroo in his dictionary of Aboriginal Mythology reports the Christian exorcising of the main keeping place of sacred objects (tjuringa) at Manangananga cave two kilometres from the Mission in 1928 and that sacred objects were sold to tourists and Anthropologists at a shilling a time. But apparently in the 1950’s there occurred a tribal revitalisation movement which saw the re-sacralisation of the Cave. And by the 1970s the sale of sacred objects and songs was at an end.